Guinness World Record Holder, endurance athlete, entrepreneur, & renowned speaker. 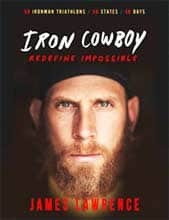 The Iron Cowboy has physically and mentally pushed limitations, broken barriers, and accomplished the seemingly impossible. © 2017 - IRON COWBOY.